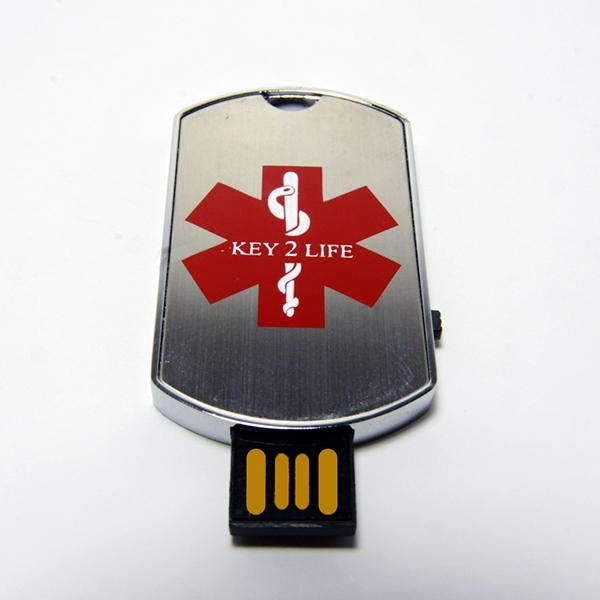 Carrying your crucial documents in a highly-secure USB Medi-Chip on your person is a brilliant solution for domestic citizens and family members, at home, at work, or at play. 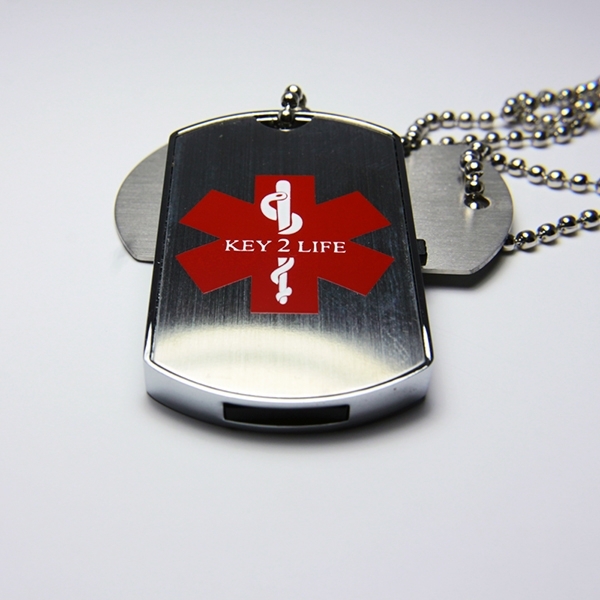 This Key 2 Life® (EMR) USB Medi-Chip is also a brilliant solution to be utilized by world travelers, military personnel, cruise line passengers, and other vacationers visiting or relocating to foreign nations. 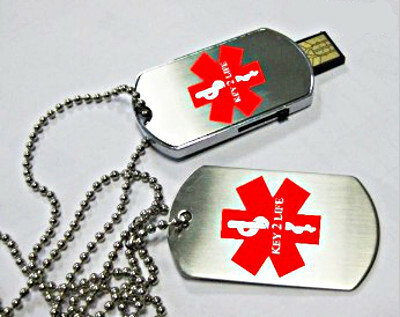 Password Protection and a Anti-Virus Program Built In. Store copies of Important Documents: IE. Even Scanned copies of Photo ID’s and Insurance cards ,etc.